Physicians may prescribe a medication such as phentermine to aid weight loss for those unable to shed pounds through diet and exercise alone. It's prescribed short-term when someone is clinically obese and has related health risks such as high blood pressure. Patients must follow a reduced-calorie diet and exercise while taking phentermine under close doctor supervision. As with any medication, side effects are possible and common, and they may range from mild to moderate. If severe side effects occur, however, patients should discontinue use and contact their health provider immediately. Belonging to a class of drugs called anorectics, phentermine's primary side effect is appetite reduction. It acts on the central nervous system in a way that decreases hunger, which helps people stick to a low-calorie diet. While phentermine is fast-acting and good at suppressing the desire to eat, it's crucial for those taking phentermine to eat nutritious foods during the day, even if they're not hungry. High-quality foods have a low energy density, or fewer calories per gram, and should form the basis of the patient's diet. Fruits, vegetables, whole grains, beans and legumes are examples of foods with a low energy density. They're high in fiber and water, a quality that helps control hunger and manage weight long-term, not just while taking phentermine. When people first begin taking phentermine, it's common to experience stomach upset. These symptoms are usually temporary and typically diminish as the body gets used to the medication. Making some slight dietary adjustments helps ease symptoms during this transitional period. When digestive upset is present, those taking the drug should avoid highly seasoned or spicy foods and choose items that are bland-tasting. Other foods that may exacerbate symptoms include nuts, seeds, raw vegetables, strong cheeses and whole grains. Good bland options are nonfried eggs, tofu, well-cooked vegetables, low-fat dairy and refined hot cereals. Once symptoms improve, they can resume normal eating. People taking phentermine should not be alarmed if they experience temporary bowel changes such as constipation or diarrhea, as this is a common side effect. As with other side effects, this is temporary and will diminish with time. During bouts of constipation, it's helpful to increase fluid intake by drinking no-sugar-added fruit juices, vegetable juices, broth-based soups and other clear liquids. If stomach upset isn't an issue, boosting fiber intake is another way to help ease constipation. Fiber-rich foods include beans, bran, brown rice, whole-wheat, vegetables and fruit. When watery stool is a problem, there's a danger of losing more electrolyte minerals and fluids, increasing the risk of dehydration and electrolyte imbalance. Boosting intake of clear fluids and mineral-rich foods, such as fruits and vegetables, is necessary to combat dehydration and replenish electrolytes. Temporarily increasing sodium intake by drinking sports drinks, or eating salty foods such as pretzels. helps the person retain water during bouts of diarrhea. It's also a good idea to default to bland foods to reduce gastrointestinal irritation until symptoms improve. 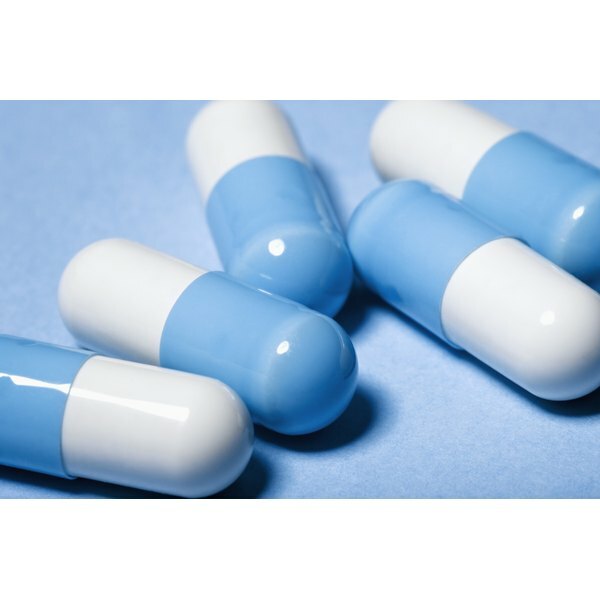 Phentermine is a stimulant and may cause increased energy, restlessness and trouble sleeping. It may also reduce libido and cause dry mouth, headaches and dizziness. These side effects are usually mild and not serious. In rare instances, phentermine may cause serious side effects. Patients should call their doctor immediately if they experience chest pain, severely high blood pressure, pounding heartbeat, swelling in the ankles and feet, or changes in mood such as irritability. Shortness of breath is another side effect that requires a doctor's evaluation. Those on the drug can avoid potential interactions by discussing any other medications they're taking with their doctor.